This trip is now full. Join our wait list. Ready to paddle and play in warm water and sunshine? 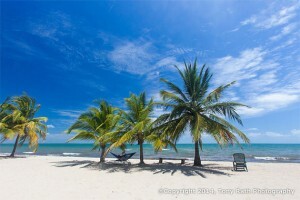 Join wonderful women for 9 days of bliss in beautiful Belize! Eat freshly caught fish, snorkel and join yoga on the beach if you wish, laugh with your toes in the warm sand and surround yourself with beauty…this is an adventure of a lifetime! We’ll have a day before and after paddling to visit a chocolate factory, rest at a baboon nature reserve and explore. We’ll have local guides with us to share about Belizean culture, wildlife, human and natural history and the best spots to paddle. We’ll also have a safety power boat with us at all times and our U.S. guide, Spring, is a professional kayak instructor. You’ll be in good hands! You make your own travel reservations (so you have the option to come early and/or stay longer), we’ll take care of the rest. Who: Women ages 18+ All levels of kayaking experience are welcome, from beginners to experienced paddlers. When: March 23-31. We will meet on March 23 to start our journey together, and our trip together ends March 31. 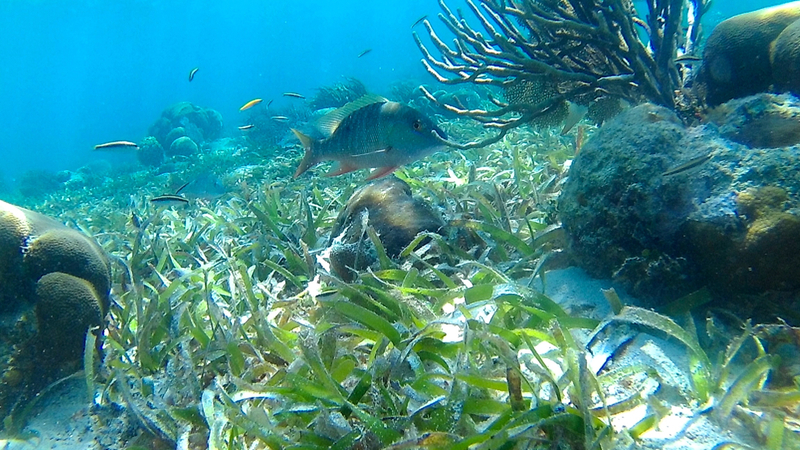 You’re welcome to arrive in Belize early or stay after our trip. For early arrivals, we recommend the Black Orchid Resort in Burrell Boom, Belize, they have free airport pickup, lovely accommodations, and we can pick you up there, but you are free to make your own arrangements. Be prepared to embark upon our journey together starting around noon on March 23 at or near the airport, in Ladysmith or Burrell Boom. If you arrive earlier in the morning, we can pick you up and wait together for later arrivals in Ladysmith, near the airport. Included: Transportation, kayak equipment, accommodations, most meals, chocolate farm tour, kayaking instruction, snorkel equipment. Camping equipment is available at reasonable prices to rent if you need anything (you will need a tent, light sleeping bag, and sleeping pad or hammock – let us know if you’re open to sharing a tent). Itinerary: we will send a detailed itinerary when you register, or you’re welcome to request to see the itinerary before registering. 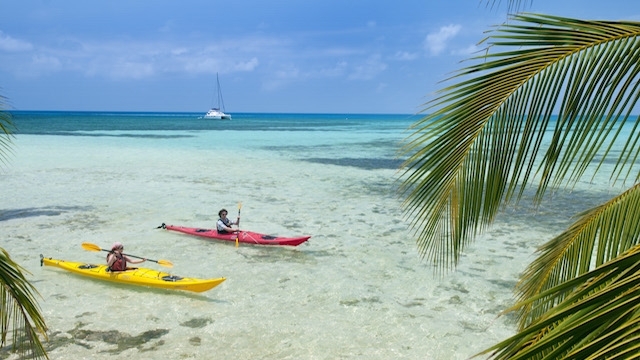 March 24-29 – Kayak, camp, snorkel, fish and rest among the beautiful Belizean islands (called cays, pronounced keys). 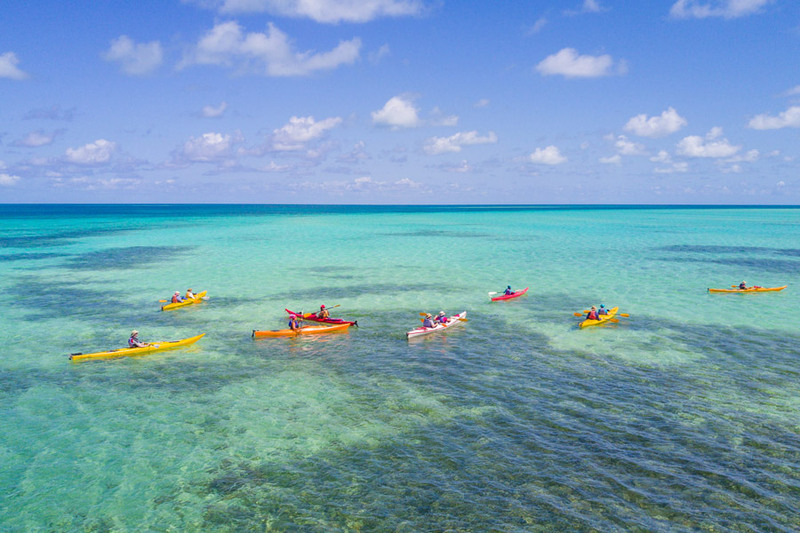 Paddle in crystal clear water along the world’s second longest barrier reef. March 30 – We will have a day of touring on our way back closer to the airport including a visit to a chocolate farm, we stay together at a hotel in a baboon preserve and enjoy our last dinner together there. March 31 – We provide transport to the airport around 10 and our journey together ends, but you’re welcome to stay in Belize longer! Space is limited to 10 women! $400 OFF EARLY BIRD SPECIAL when you register by November 15. Cost with discount: $2595 if you pay in full, or $2650 if you make 4 payments (of $662.50). We prefer payment by check, but we also accept PayPal payments if you prefer to pay with a credit card. If you make payments, we will send you invoices until the full balance is paid. Have questions? Call or text Spring at 360-265-2477, send us a message through Facebook, or e-mail us using the contact form on the side of this page.